Takes 12-24 hours for the dino to break thru the shell. (Don't forget to add water) After that the dino can grow even more! them hatch out of the eggs and grow! It's very funny and educational. Just put the eggs in a Bowl of water (Water temperature below 36 degrees) and watch. Just put the egg in a Bowl of water and watch it hatch out of its egg and grow! Takes 12-24 hours for the dino to break through the shell. After 1-2 days the dino can grow even more! Colorful appearance and all kinds of dinosaurs after hatching. Very magic and funny for your kids. 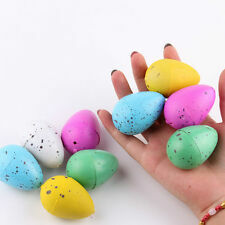 Package Content:1 x 60PCS Colorful Magic Cute Hatching Growing Dinosaur Eggs (inglese) Brand Unbranded MPN Does not apply UPC 190268026048 UPC 190268026048. Just put the egg into the water, then it will burst, hatch a small dinosaur and slowly grow up. -12-24 hours later, the shell begin to crack ( increase water regularly);. Let the children to understand the process of how to grow up of the most animals when they playing fun with it. 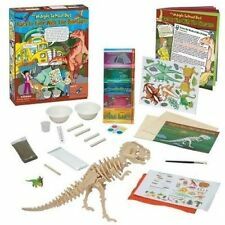 Kidz Lab Stegosaurus Dig a Dino Excavation Kit French Version! Your bidding on a huge 20" Twin Headed Dragon made from Vinyl/plastic, and it measures approx 30" from head to tail. It was made by Toy Major in 2007. Pteranodon was a large pterosaur from the Late Cretaceous Period, around 85 million years ago. Despite often being grouped with dinosaurs, Pterosaurs were a separate but related group of flying reptiles. 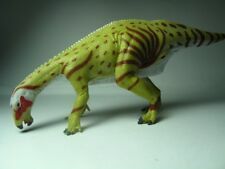 Very rare kid Galaxy happy kin dinosaur in good condition see photos. Thank you so much for looking please check out some of my other items. It had sharp, serrated teeth and was roughly 10 ft long, from head to tail. 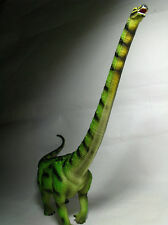 The Coelophysis is part of the Wild Safari® Prehistoric World collection. NEW FOR 2017! From Safari, Ltd. All of our products are Non-toxic and BPA free. 4.5 out of 5 stars - COELOPHYSIS Dinosaur 304529 ~ New 2017! ~ Free Ship/USA w/$25+ SAFARI, LTD.
4 product ratings4 product ratings - COELOPHYSIS Dinosaur 304529 ~ New 2017! ~ Free Ship/USA w/$25+ SAFARI, LTD.
During the process of dinosaur hatching, the egg cannot leave water. have fun watching a growing baby dinosaur break out of its own egg. Put and keep the whole dinosaur eggs in water under 36℃. and make sure the container as big as the dinosaur can hatch and grow smoothly, otherwise. Safe Material - this dino puppet toy is made of non-toxic and durable rubber material. 1 x Hand Puppet Toys. Our goal is. Color:AS picture show. We will be responsible for. This item is a set of 12pcs dinosaurs children toy such as atyrannosaurus, It is not only a great toy for kids to play, but also a nice decoration in the room. Due to the difference between different monitors, the picture may not reflect the actual color of the item. Soak all eggs in water (note: the water temperature is below 36 degrees). 2.12-24 hours later, the eggshell begins to crack (note: always add water). 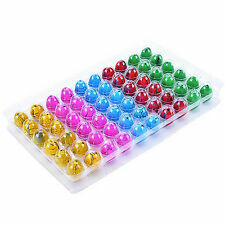 A box of 6 colors with an average of 24. Size: Model approx. we do give good service and provide quality products. If you have any inquiries or concerns regarding our item. Dinosaur toy is made of durable, flexible, long-lasting, high-quality plastic, non-toxic, will not do harm to kids, and will not be broken easily. 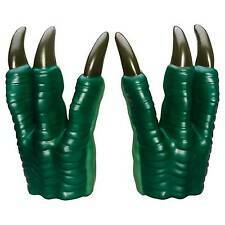 This toy is a great delight for dinosaur lovers. Fit: children over 1 years of age, dinosaur enthusiasts, collectors. 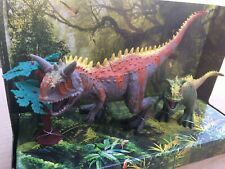 Very good condition Jurassic World orange dinosaur. Excellent for kids tortoise project - have fun watching a growing baby tortoise break out of its own egg. Just put the egg into the water, then it will crack, hatch a small tortoise and slowly grow up. Preschool Toys & Pretend Play. TOYS,HOBBIES. Educational Toys. Wooden Toys. 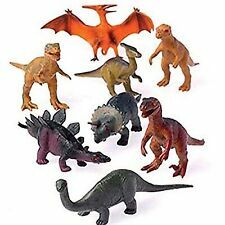 - This collection of toy dinosaurs provides hours of educational fun. - Color: brown. Model Trains. Size Chart. Shunosaurus Dinosaur. The Shunosaurus was a large Sauropod, over 30 feet in length, that lived in the Middle Jurassic about 170 million years ago. PART OF THE DINOSAUR AND PREHISTORIC LIFE COLLECTION - Slightly smaller than our Carnegie Dinosaur Collectibles, this collection was designed for the dinosaur lover in us all. Trending at C $15.59eBay determines this price through a machine-learned model of the product's sale prices within the last 90 days. 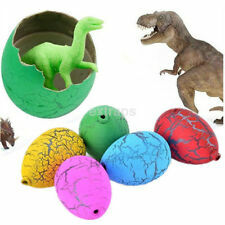 60pcs Magic Hatching Dinosaur Dino Eggs Add Water Children Kids Inflatable Toy. 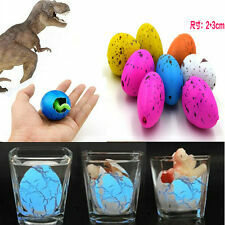 1 set Hatching Dinosaur Eggs(60pcs). Just put the eggs in a Bowl of water, then it will burst, hatch a small dinosaur and slowly grow up. NEW FOR 2017! However, recent discoveries of feathered dinosaurs are changing our understanding of the life appearance of this popular species. FEATHERED T-REX Dinosaur. From Safari, Ltd. They lived around 35 million years ago. NEW FOR 2018! From Safari, Ltd. It’s slightly larger than a standard index card. The main colors used are a pale grayish brown for the hide, with a darker gray to bring out details. Model # 284429. "Wild Safari Dinosaurs" Collection. by SAFARI, LTD. Hand-painted, pthalate and lead free, safety-tested replica. Replica = 6.75" Long 4" High. Wonderful for authentic, museum style dioramas - but tough enough for rough play. You are buying a PBS Dinosaur Train interactive Tank - Triceratops dinosaur!! Interact with other dinosaur train dinosaurs. Talks, roars and head moves down .Some scuff markings from play - see pics.This is previously owned in nice condition. Please check out our other items in our store!! We are always more than happy to combine shipping costs on multiple items. Please feel free to contact us with any questions or problems you have and we will work with you. Great educational toy puzzle model kit. Fine Detailed Sculpturing. Be sure to add us to your favorites list ! Marks/Scratches/Paint Loss From Play Possible (See Photos). Can teach children to know the animal incubation process. 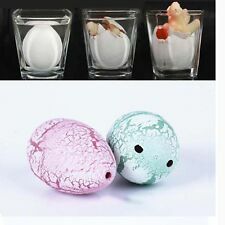 Put an egg in the water of the glass jar, it will slowly break the eggshell, hatch a dinosaur, and then grow up slowly, very novel and interesting to imitate the ecological expansion toy! Hyaenodon Gigas. But don’t be scared of its snarl, it won’t bite! The Hyaenodon gigas is part of the Wild Safari® Prehistoric World collection. NEW FOR 2018! From Safari, Ltd.